The first one in this series is an American textile artist, Mary Clarke Edwards. 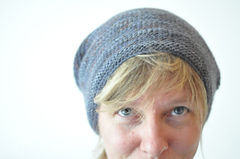 Her artiste name is Mary Buttons and she’s a Knitter, Weaver and Bagmaker. And the reason why I started to weave myself! I discovered her beautiful bags some years ago via Ravelry (hellskitsch)and I’m still absolutely fascinated about her work. Here fabrics seams to glow literally. She isn’t a weaver who uses sophisticated motifs though, on the contrary, she has only a little Riggid Heddle Loom. In her work it’s the yarn that plays the starring role. I understood by her weaving that there is often no need to use a complicated pattern to produce a stunning fabric. When the yarn is beautiful let it speak for himself! Mary wrote: “To be honest, I don’t really consider myself a weaver. I feel like I’m a textile artist and my loom is just a tool. My loom is just the most efficient way for me to use yarn”. And in which beautiful, beautiful manner take’s always my breath away! Love your work Mary! Some bigger and more recent works from this year. Mary uses now a technique called “clasp weaving” which creates these beautiful colour contrasts. I’m in love! Aren’t they beautiful??? Whaou! C’est absolument magnifique en effet. Un très beau travail de composition graphique. Merci de partager tes coups de coeur et découvertes. C’est inspirant. N’est pas??? Je l’adore aussi! Surtout aussi le fait qu’elle travaille avec un métier super basique et ce n’est pas cela qui l’empêche def aire des choses magnifiques, au contraire je crois..
De nombreux artistes sont plus créatifs quand ils ont une contrainte lié au lieu, aux matériaux ou au temps! Le cerveau et la créativité n’ont pas de limites. Tout à fait d’accord! Même en architecture en remarque que souvent les projets les plus intéressants en du surmonter beaucoup des contraintes et problèmes! Cela semble stimuler la créativité!